Encourage your kids to discover the fun of learning as they sing along to their favorite songs through free educational kids songs app for your Android device. 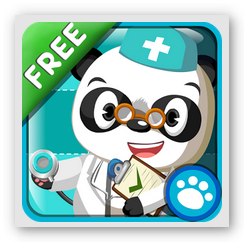 Aside from gaming apps, there are tons of kid friendly Android apps that you can download for free from Google Play Store such as bedtime story apps, lullaby apps, educational apps and others. 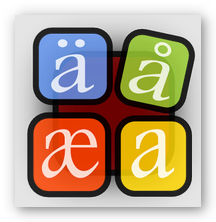 In the category educational app alone, there are so many sub-categories to choose from including subject specific app, games, and kids songs app that promotes learning through singing along to tunes that teaches about counting, phonics, shapes, colors and more. 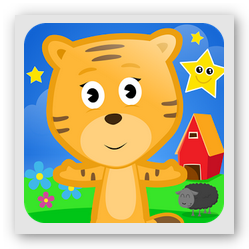 One of the most downloaded kids songs app, Best Kids Songs , provides over sixty minutes of non-stop playing of popular songs recommended for toddlers up to preschoolers. It features a kid friendly user interface which makes it easy to follow and sing-along with their favorite songs. What makes this kiddie sing-along app interesting is the attractive graphics and undeniably charming characters led by PINKFONG that will surely captivate your child’s imagination. 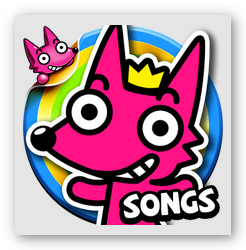 Worlds Kids Song 01 is also a recommended kid safe application that aims to acquaint your little ones to famous children’s songs appropriate to their age bracket. It features adorable animated animal characters Uwa, Mica and Pito singing songs to which you can turn the lyrics on and off while doing funny dance moves to keep your young learners entertained. 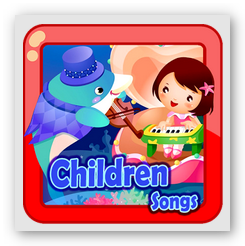 Children Songs is a relatively new app that showcases music videos of the most popular nursery rhymes and kid’s songs that your tots can listen and sing along with. The videos included in this kids songs app is hosted and linked to YouTube, hence, it enables your kids to watch the music videos without actually browsing in YouTube. It requires internet connection to load the music videos on the app. 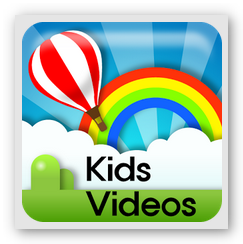 Another kids songs app that is linked to YouTube is Preschool Videos & Kids Songs . This child safe sing-along video app includes more than 500 popular cartoon videos, nursery tunes and top childrens’ songs suitable for babies, toddlers, preschoolers and those in the early childhood stage. 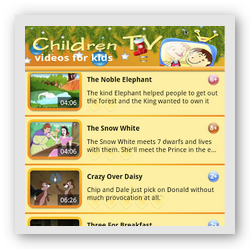 Similar with Children Songs app, it also requires internet connection to play the music videos featured in this app. 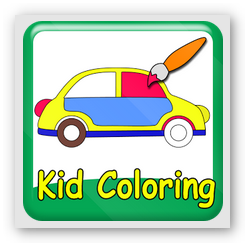 If you do not wish to download kids songs app to your Android device, you may subscribe to any of YouTube’s “kids sing-along” channel and you can also opt to download your child’s most wanted music video from the featured songs on the said channel using Free YouTube Downloader so your kids can dance and sing to their favorite tunes even if you are connected to the internet. Get your own Free YouTube Downloader below. Stay alert and be prepared on what is coming your way by getting a daily heads up about climate forecast from the best weather app for your Android smartphone and tablet. There are tons of apps that you can download for free like gaming apps, video apps and many more that can optimize the features and capabilities of your Android device. However, we often take for granted the free apps that can make our daily lives more productive such as weather app. While we can get weather updates from local news, it would definitely be to our advantage if you have on the go access to weather forecast especially when you are travelling and planning an outdoor activity. 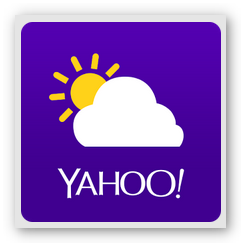 Yahoo Weather app provides precise weather projections on an hourly, 5-day or 10-day basis. Apart from detailed report such as wind, pressure and precipitation, this weather app also features animated sunrise, sunset, wind and pressure modules as well as interactive maps (radar, satellite and snow). It comes in a striking user friendly interface and it can display images of your location combined with the time of the day and climate situation. 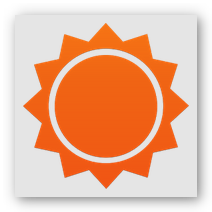 AccuWeather is a favorite weather app among Android users that delivers hourly, daily and 15-day weather update that can be incorporated with your calendar. It provides the most accurate weather forecast and covers more than 3 million locations. Furthermore, it notifies you about incoming severe weather conditions which includes snow, thunderstorm, high winds and tornadoes. Included in the Top 25 apps by CNN Tech and dubbed as the best weather app, 1Weather:Widget Forecast Radar , has a marvelous graphical user interface boasting with all the essential features that makes an excellent weather forecast. With this app, you can expect real-time local weather prediction from hourly up to 7-day forecast and precipitation (interactive charts). It also displays animated sunrise, sunset and Lunar phase, customizable home screen widgets that includes 3 clock widgets and comes in 25 different languages. Lastly, this app lets you share weather missive as well as screenshots and alert text with family and friends by email, SMS and social networking sites like Twitter, Facebook, Google+ and several others. A photography and weather app rolled into one, InstaWeather is truly an enjoyable as it is informative. 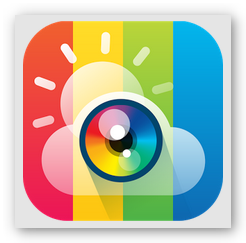 It is perfect for snapping and posting travel shots to your Instagram as it enables your followers to see the beauty of the scenery through your photos as well as give them an idea about the weather and temperature condition when the actual picture was shot. This amusing app features more than 70 different skins which includes various weather data such as current temperature, air pressure, rain, wind power with direction and basic location information. Listen, download and manage the music playlist of your Android smartphone and tablet for free by installing and utilizing the best MP3 downloader app for your device. Do you love listening to music on your Android smartphone or tablet? If so, then this is a must read post for you. There are a number of entertainment apps that you can download which enables you to listen to your favorite tunes for free such as radio app and music app. However, these apps require an internet connection to continue playing whatever it is that you are listening to. As a work around, you can either export audio files from your computer to your device or download MP3s directly to the music playlist of your Android smartphone and tablet using a free MP3 downloader so you can enjoy chilling to the beat without any disruptions. 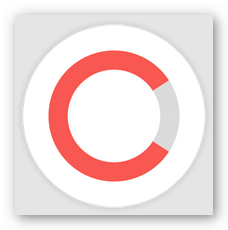 Music Manager Tool is an Android MP3 downloader app that can facilitate you in searching and downloading your favorite songs and store it to your media library for free. It supports background downloading so you can still use your device while download is in progress. Overall it is a great app, the only downside is if you remove Music Manager Tool from your device, there is a risk that some, if not all, of the songs you downloaded through this app will also be deleted though it was saved to your media library. 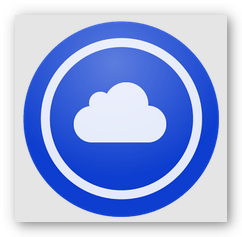 Similar with Music Manager Tool, SuperCloud Song MP3 Downloader is also a worth mentioning MP3 downloader app. It has a rather simple interface which makes it fairly easy to use. 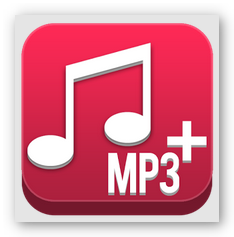 Also, the downloaded MP3 is automatically added to the media library of your Android device. While it may not have a huge music collection as compared to other apps, it is still a handy app for your audio needs. 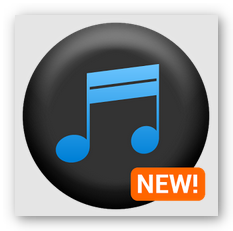 MP3 Music Downloader is popular among the Android community due to its ease of use. This MP3 downloader app downloads a bit faster than others, provided that your internet connection speed is stable. It also allows you to listen to the actual song you are trying to download as it supports background downloading. The amazing thing about this app is that it does not have any push ad notifications as well as junk banners regardless if it was a free download. Last but certainly not the list among our favorite MP3 downloader app is Fast Music Downloader Free . 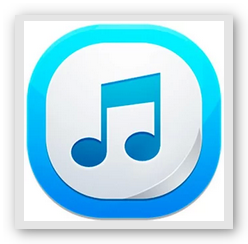 This music tool app is capable of fast music searching for superb and unlimited MP3 downloading experience. What makes this app stand out among the competition is that every search result contains full information of the song including name of the artist, the album is comes from and the cover art which comes together with every song you download to make it easier for you to find the song in your media playlist. Furthermore, you can assign the downloaded songs into your SD card as your alarm and notification tone as well as a ringtone for your Android smartphone. As mentioned above, another means of enjoy uninterrupted music listening on your Android smartphone and tablet is to transfer music files from your computer. Aside from ripping your music DVDs to MP3 format, you can also download songs from video streaming sites like YouTube, Dailymotion, WorldStarHipHop, etc. and convert it to MP3 file for free using AVGO Free Video Downloader. 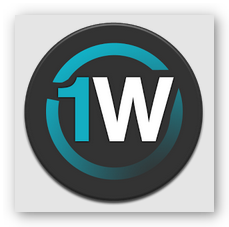 Grab your Free Video Downloader now! Know the best YouTube Science channel that will help your kids explore Science outside their classroom walls and teach them on how it can be applied to their daily lives. Science is all around us, thus, every single thing and phenomena that occur in our life can be explained in a scientific way. It is the broadest subject taught in school and learning all about it is a continuous process which makes it a bit challenging and boring for some kids. Fortunately, you can use AVGO’s Free YouTube Downloader to download educational and incredible videos from any of the noteworthy YouTube Science channel which can ultimately make your kids re-discover and appreciate the parallel universe of Science. Grab your Free YouTube Downloader now! If you are looking for video clips that can aid in making Science visually interesting for your kids through mind blowing scientific experiments and demonstrations, then Sick Science! is the channel to be. This YouTube Science Channel features educational footages and experiments that you and your kids can try with the use of materials found at home. SciShow is a YouTube Science channel that aims to provide a detailed explanation of Science news, facts, theories and concepts through fun and entertaining videos. It discusses the progression of Science in a very enthusiastic approach which makes it all the more interesting to watch. To help your kids understand the practical application of Science in everyday life, you may grab videos from AsapScience . This YouTube Science channel features queer and fascinating videos which addresses some of the inquisitive questions of your little ones such as “why do we cry?”, “which came first: chicken or egg?” and the likes which, we’re pretty sure that most adults will agree, is easy to answer yet difficult to explain. Periodic Videos is a great YouTube Science channel that can supplement Chemistry class. It strives to enlighten older kids, more specifically those who are in the intermediate levels, about the elements in the periodic table and how it reacts in diverse environments, physical characteristics and its chemical reaction when combined with a different element as well as chemical. Another YouTube Science channel recommended for those in high school or collegiate level is MinutePhysics . This channel is dedicated in boosting the topics tackled in the subject of Physics to make it refreshing and stimulating to learn. The videos featured in this channel are quite effective in providing significant clarification about complicated matters involving Physics. Aside from downloading amazing videos from your preferred YouTube Science channel, you can also download nifty educational apps including Science apps on your iOS or Android device which can be very helpful in making your kids better understand and grasp the topics that they learned from school. Is your smartphone or tablet a bit sluggish? Make it go faster by keeping it free from bits and pieces of useless and unnecessary data using the most effective cleaner app for Android. Are you trying to free up some storage space on your device by removing unwanted apps to make it run faster? If you think that deleting a certain app from your smartphone or tablet is enough to completely remove all files pertaining to it, then better think again. 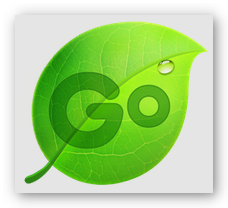 While it is true that it erases the said app, however your Android device is not 100% free from its remnants. This explains why the size of the file is actually bigger when you downloaded it compared to the free space it will yield once you decide to wipe it away. So the question is, how do you rid your device from all these junk files? The answer is quite simple, all you need to do is use a trustworthy cleaner app that will thoroughly eliminate all remaining snippets of the app that you deleted. 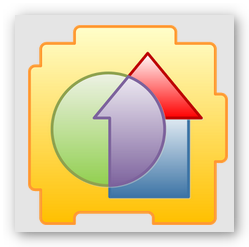 Clean Master – Free Optimizer is the most downloaded and acclaimed cleaner app within the Android community. It is designed to completely remove junk files to increase storage space and increase the processing speed of your Android device as well as shield it from any malevolent apps that are running in the background including malware and viruses that possess a threat in the overall performance of your device. AVG Cleaner – Memory & Storage is designed by AVG Mobile, a reputable software developer in the field of antivirus programs. 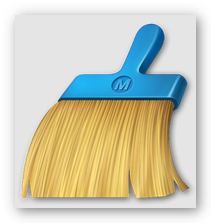 You can use this cleaner app to expunge the internal and external memory usage by way of phone calls log, text messages, RAM cache processes and browsing history usage. In addition to that, this removal app is also equipped with an “App Uninstaller” feature that can swiftly and straightforwardly identify the apps to remove based on the last time it was used, the amount of space it occupies and battery it consumes. 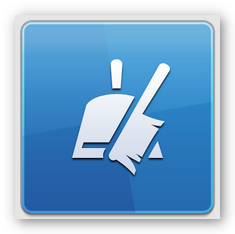 Another cleaner app that can eliminate unusable files from your Android device is The Cleaner – Speed up & Clean . As the app name implies, it enhances the processing speed of your smartphone or tablet by liberating the RAM from rubbish data resulting to extra memory space and long battery life. 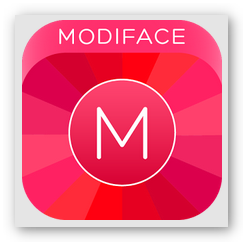 The key features of this removal app includes scheduled automatic maintenance to keep your device up to speed, pleasant interface via customizable theme and modest widget that enables you to easily improve your Android gadget’s performance from the home screen. Prevention is always better than cure, therefore, it is essential that you download a robust and steadfast security tool to be assured that either your smartphone or tablet is safe and protected from any damaging data that it might unsuspectingly acquire every time you download and install an app on your device. 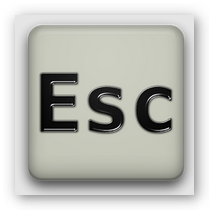 That being said, free apps like Mobile Security Antivirus, AntiVirus Security and Bitdefender Antivirus are some of the most distinguished antivirus app which can provide paramount defense for your Android gadgetries. Are you having a hard time putting your kids to sleep? Let them listen to non-stop bedtime music that you can download for free from the best YouTube lullaby channel. Kids would always be playful and full of energy that letting them hit the sack is not a walk in the park, but if there is a will, surely there is a way. During daytime, allow them to play all they want, given that they are done with their academic work, then let them wash up before going to bed and finally, you can use a lullaby app that you have installed on your smartphone and tablet or play a soothing bedtime music that you have downloaded from any YouTube lullaby channel, either one would do the trick. To grab your preferred bedtime music from YouTube, you can use AVGO Free YouTube Downloader. It is one stop video downloader that lets you download and convert any song and video from YouTube. 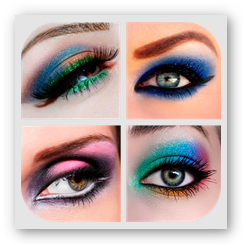 It is very easy to use and absolutely FREE! Own A Free YouTube Downloader now! Baby Relax Channel is a YouTube lullaby channel that features soothing bedtime sounds from famous classical artists like Mozart, Brahms, Beethoven and more that can lull your kids to slumber. Each video plays 1 to 2 hours of uninterrupted classical music that is guaranteed to relax both you and your little ones instantly. Another YouTube lullaby channel that offers calming bedtime music is Relaxing Sleep Music Channel . It has a collection of over 113 of children’s lullaby music videos to choose from and each video plays continuously for no less than an hour which is truly helpful in setting the mood for snooze time. 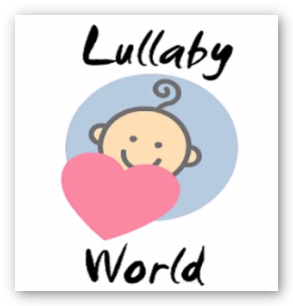 Now, if you are looking for a YouTube lullaby channel that offers more than 4 hours of non-stop bedtime music, then Lullaby World is exactly the channel we recommend for you. Each music video lets you and your kids listen to enchanting bedtime music that is complemented with equally captivating graphics that can effectively accompany your kids to dreamland. It also features some popular fairy tale audiobooks that you can also use as an alternative to bedtime music. If bedtime music does not work, you can switch to bedtime stories instead. 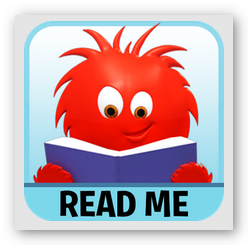 You may do it the old fashion way or if you are more on the techie side, you can either install a bedtime story app on your compatible device or download a free bedtime audiobook from YouTube. Acquire a fit and healthy body via easy to follow workouts and exercise routines that you can avail for free by tuning in to the best YouTube fitness channel. Through the unremitting advancements in technology, everything became easier, more convenient and accessible not only in the business point of view but as well as in our daily lives. 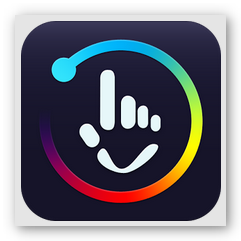 Now, you can accomplish just about anything with just a touch of a button on your smartphone, tablet or computer. Indeed, there are countless of benefits brought about by modern technology and one good example of this is the fact that you can achieve well-toned muscles and leaner body without going to the gym or hiring a personal trainer. You can do simple exercises courtesy of free fitness apps that you can install on your compatible device or through YouTube fitness channel. 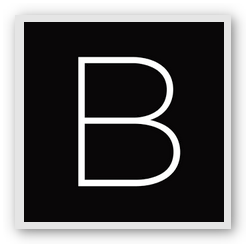 BeFit is a YouTube fitness channel that provides free and high quality workouts that will help you burn unwanted fats, sculpt muscles and slimmer body through easy to follow workout videos with the guidance of top fitness trainers including Jillian Michaels, Denise Austin, Jane Fonda, Billy Blanks Jr., Scott Herman, Samantha Clayton and many more. It also features special fitness programs like the BeFit in 90 workout system and several 30 day systems which aims to assist you in shedding the extra pounds on specific body areas like thighs, arms, legs, abs and more. FitnessBlender boasts a collection of over 300 free full length workout video that is updated on a weekly basis. This YouTube fitness channel that offers step-by-step home cardio workouts, strength training program, Pilates, low impact, circuit training and more that is carefully sorted out from beginners to incredibly advance routines depending on the fitness level. If you prefer dancing as an exercise, then Zumba Fitness is the YouTube fitness channel you are looking for. It showcases exciting and invigorating dance fitness workouts that are very easy to follow. It also includes supplementary healthy eating plans to assist you in reaching your target weight goal and a slender physique. Yogasync.tv is a YouTube fitness channel that perfect for those who are seeking aptness program for the body and soul. It features an extensive yoga class for beginners including a yoga routine which highlights 20 basic yoga positions and postures that aims to deliver a healthier well-being and spirituality through deep mind relaxation. Apart from the great fitness workouts that is aimed towards leading healthier lives, SparkPeople also offers a number of simple exercise routines for expecting moms as well as tasty and healthy recipes that satisfies a well-balanced diet to complement the fitness program. ScottHermanFitness is the YouTube fitness channel suitable for those who are interested in serious body building. It houses average to difficult workouts such as heavy lifting which is essential in developing and building a more muscular frame. For offline fitness workouts, you may download the your preferred exercise routine videos from any of the YouTube fitness channel mentioned above using AVGO’s Free YouTube Downloader, the complete video downloader that lets you download and convert any YouTube video to a format acceptable to all Android or iOS smartphone and tablet. Get your Free YouTube Downloader now!